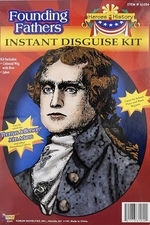 Dress up like a hero from American history in this Benjamin Franklin costume kit. 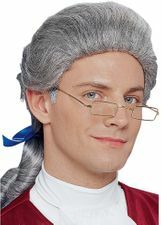 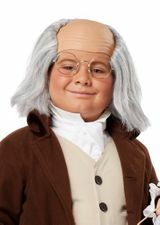 Includes wig with bald top and long hair, and Ben Franklin glasses. 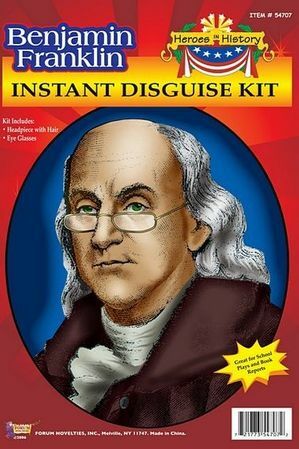 Great for school plays and projects!